Offering you a complete choice of products which include Vacuum Pumps such as Oil Immersed Vacuum Pumps, Single Stage Mono-Block Vacuum Pumps, Single Stage Vacuum Pumps, Two Stage Vacuum Pumps, High Capacity Low Vacuum Pumps and Oil Free Vacuum Pump. 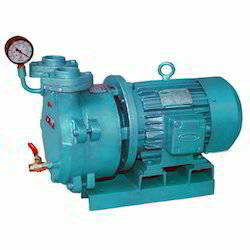 We are contributing to the various processing industries by manufacturing Oil Free Vacuum Pump. It generates less noise, consumes less power and provides a long lasting service. It is ideal for pumping purposes and can be used as a compressor. It has been designed accurately by our team of efficient technical professionals. It is easy to install. 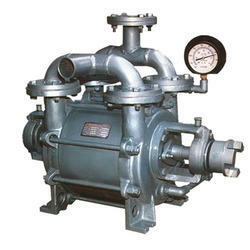 Being an illustrious organization, we are engrossed in providing a huge range of High Capacity Low Vacuum Pumps. These pumps are widely used in sterilizing, drying, evaporation and related industrial applications and need low vacuum. The offered pumps are precisely manufactured by our ingenious professionals with the use of quality-assured components and progressive techniques. Furthermore, we offer these pumps to the patrons in several technical specifications at competitive prices. Being foremost and quality-conscious firm, we have gained huge specialization in providing exceptional quality Two Stage Vacuum Pumps. Finds wide demands in filtration as well as dehydration applications, the offered pumps are highly demanded in various industries. These pumps are manufactured by our ingenious professionals using superlative quality components and advanced techniques in tune with international quality standards. We offer these pumps to the clients at market leading prices. 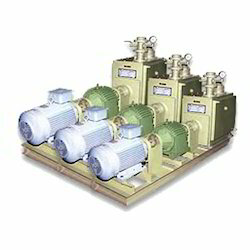 Bestowed by advanced manufacturing unit, we are able to provide Single Stage Mono Block Vacuum Pumps. The provided pumps are manufactured under the strict guidance of our deft professionals using quality-assured components and innovative techniques. The offered pumps are widely used in laboratories, priming applications and pilot plants manufacturing applications. Apart from this, we are offering these pumps to the patrons at economical prices. 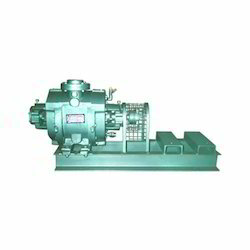 Being the affluent and trustworthy organization, we have been indulged in providing Oil Seal Rotary High Vacuum Pump. The provided pump is finds its useful applications in packaging, foaming, coating, drying and many more in food processing and chemical industry. 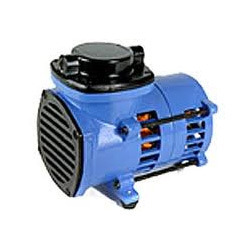 This pump is specially manufactured using exceptional quality components and the latest techniques. Apart from this, the offered pump is made available for patrons at negotiable rates. Model No. No. of Stages Free Air Displacement Lt/Min C. F.M Ultimate Vacuum mm of Hg. Drive Motor Reqd. HP Approx Oul Filling Ltrs. We are amongst the leading exporters of Single Stage Vacuum Pumps which are popular among our clients for their unsurpassable quality, durability and accurate design. These consume less power and less voltage. They are safe to handle and can be used in extreme conditions. They have a smooth finish and are light in weight. They are compact in size and are non-abrasive. 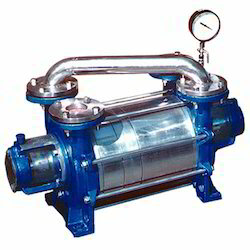 We are prominent manufacturer and exporters of Water Ring Vacuum Pumps which are designed accurately in accordance with our customer’s requirements.Backed and supported by ultra-modern machinery and skilled professionals, we have been able to manufacture and supply the optimum quality of Water Ring Vacuum Pumps. The offered water ring vacuum pumps are high performance and energy efficient design. Our customers can avail the offered water ring vacuum pumps in various specifications, as per their needs and requirements.